The Abbey of Saint-Remi is an abbey in Reims, France, founded in the sixth century. 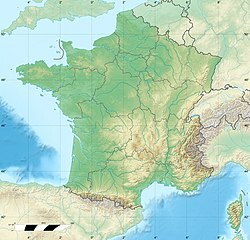 Since 1099 it has conserved the relics of Saint Remi (died 553), the Bishop of Reims who converted Clovis, King of the Franks, to Christianity at Christmas in AD 496, after he defeated the Alamanni in the Battle of Tolbiac. The present basilica was the abbey church; it was consecrated by Pope Leo IX in 1049. The eleventh-century nave and transepts, in the Romanesque style, are the oldest; the façade of the south transept is the most recent. The obscure origins of the great abbey at Reims lie in a little 6th-century chapel dedicated to Saint Christopher. The abbey's success was founded on its acquisition of the relics of St. Remy in 553; subsequently gifts poured in upon it from pious donors. By the 9th century the abbey possessed about 700 domains and was perhaps the most richly endowed in France. It seems probable that secular priests were the first guardians of the relics, but were succeeded by the Benedictines. From 780 to 945 the archbishops of Reims served as its abbots. At the abbey Charlemagne received Pope Leo III. In 1005 the abbot Aviard undertook to rebuild the church of St-Remy, and for twenty years the work went on uninterruptedly before vaulting collapsed, no doubt from insufficient buttressing. Abbot Theodoric erected the magnificent surviving basilica which Pope Leo IX dedicated in 1049 and to which he granted many privileges. The abbey library and its schools were of such high repute that Pope Alexander III wrote a commendatory letter to the Abbot Peter, which survives. The years of around 1170 to 1180 brought further rebuilding, this time to the choir. The purpose of replacing the short eastern section of the Romanesque church was to create a grander and more spacious interior for the shrine of St Remy. The shrine was detached from its previous location, next to the altar, and moved further east. The archbishops of Reims and several princes, Carloman, brother of Charlemagne, Henri d'Orléans (d. about 1653), and kings Louis IV of France and Lothair were buried in the monastery. Among the illustrious later abbots, all drawn from the higher nobility, may be mentioned: Henri de Lorraine (1622–1641), who affiliated the abbey to the Congregation of St. Maur; Jacques-Nicolas Colbert (1665), later archbishop of Rouen; Charles Maurice Le Tellier (1680–1710); and Joseph de Rochechouart, appointed abbot by the king in 1745. Many valuable objects from the abbey were looted in the French Revolutionary period and the Holy Ampulla of the coronation of the kings of France kept in the abbey was destroyed in 1793, but the 12th-century stained glass remains. The Abbey of Saint-Remi, together with the nearby cathedral of Notre-Dame de Reims and Palace of Tau, became a UNESCO World Heritage Site in 1991. 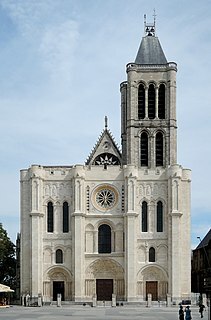 ^ St Remi's relics were kept in the Cathedral of Reims, whence Hincmar had them translated to Épernay during the Viking invasions and thence, in 1099 to the Abbey of Saint-Rémy. ^ Catholic Encyclopedia, 1911, s.v. "Abbey of Saint Remy"
Wikimedia Commons has media related to Saint-Remi Basilica. Wilson, C (2008). The Gothic Cathedral, Thames & Hudson. The Church of St. Trophime (Trophimus) is a Roman Catholic church and former cathedral located in the city of Arles, in the Bouches-du-Rhône Department of southern France. 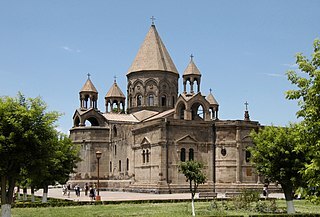 It was built between the 12th century and the 15th century, and is in the Romanesque architectural tradition. The sculptures over the church's portal, particularly the Last Judgement, and the columns in the adjacent cloister, are considered some of the finest examples of Romanesque sculpture. 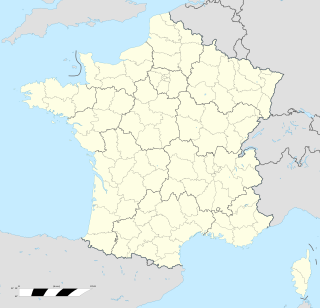 Orbais-l'Abbaye is a commune in the Marne department in north-eastern France. The abbey at Orbais was founded at the end of the 7th century by Saint Réol, and the remains are situated in the centre of the town. Jean d'Orbais was a French architect from Orbais-l'Abbaye, active in the Reims area. He was an architect of the High Gothic style and the first of the four architects of the Cathedral of Reims, where he is depicted in the labyrinth mosaic in the nave. 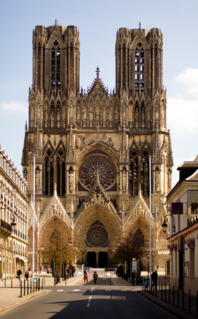 He was responsible for the design of and initial work on the cathedral of Notre Dame de Reims. The Abbey Church of Saint Foy St. in Conques, France, was a popular stop for pilgrims traveling the Way of St. James to Santiago de Compostela, in what is now Spain. The main draw for medieval pilgrims at Conques were the remains of St. Foy, a young woman martyred during the fourth century. The relics of St. Foy arrived in Conques through theft in 866. After unsuccessful attempts to acquire the relics of St. Vincent of Saragossa and then the relics of St. Vincent Pompejac in Agen, the abbey authorities set their sights on the relics of St. Foy at the ancient St. Faith's Church, Sélestat. The Conques abbey opened a priory next to the shrine in Sélestat. A monk from Conques posed as a loyal monk in Agen for nearly a decade in order to get close enough to the relics to steal them.